Are Aluminum Gates Easy to Maintain? Installed a new aluminum gates in your home and if you wondered how can it be maintained with less hassle? Look no further as we would introduce steps on how to keep your aluminum gates maintained but yet with ease! Let’s start off with the weight of the aluminum gates, it is well known for its light weight and yet strong structural integrity. Therefore, when it comes to the pillars or walls, hinges and hinge screws. All it needs is some visual inspection and not much to worry about as you do this form of maintenance. As due to it’s light weight, you will observe that over a long time of using aluminum gates, there isn’t any obvious damages on it except to pay special attention to the gate hinges which require some lubrication to the moving parts of the hinges. Next, we would want to consider stains which are often present on aluminum gates used over a long period of time without cleaning. There will be firstly, dust particles present, water stains and etc. 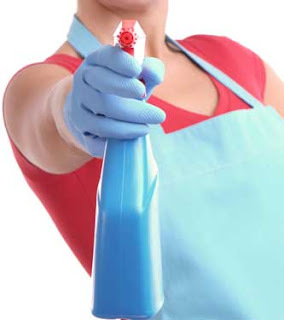 Believe this or not, but with a simple duster to brush away the dust as the first step before wet washing which includes the use of a small amount of liquid detergent or homecare liquid wash and wiped clean with the use of a cleaning rag or other easy to use relevant household cleaning devices. Now, this is possible due to aluminum gates are resistant to corrosion and hence water and some liquid detergent is not a danger of causing any corrosive damage to the gates. And did you know that as aluminum gates do not rust or corrode, it is highly subjected to oxidizing? What this means to the effect on the aluminum gates is being changed from its previous manufactured colour and its exterior will become much rougher than before oxidization took place. Simple steps can be taken to restore this condition of oxidization that occurred to almost original state. First of all, using small amount of detergent and wet cleaning rag will get the job done. And if necessary, use some cleaning wax to maintain its shine and smoothen the aluminum gate surfaces. Structural integrity is what we want to focus on next and how we can take steps to prevent damages onto the aluminum gates. The property of aluminum is due to it is not affected by corrosion at all which makes it one of the most durable type of materials to be made into gates. However, as strong as it is, special care must be taken not to cause any hard bumping into these types of gate. The reason being is it is a very malleable form of material and it is easily damaged when pierced at directly with a sharp object or sharp edges of furniture made of much harder materials like steel. And take special care that high heat is not present near the aluminum gates. This is due to aluminum gates are strongest at low temperature. Therefore preventing heat from damaging the structural integrity of the aluminum gates is an important factor to take note of. With these tips on how to maintain aluminum gates, the gates maintained by you will be in great condition and long lasting usage as well.